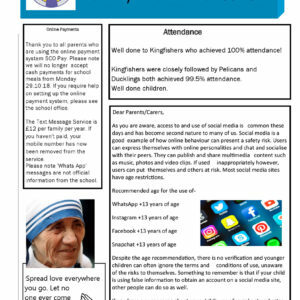 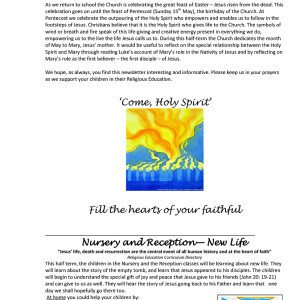 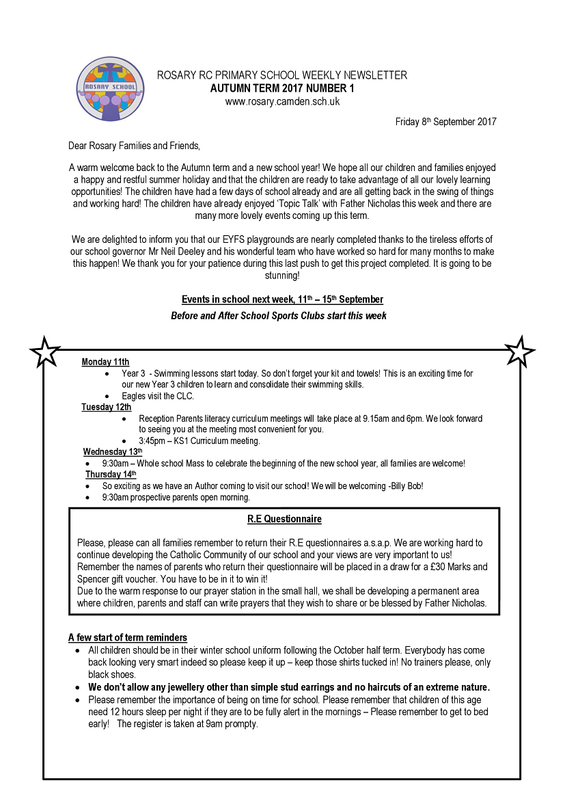 In September 2015 we started a new tradition at Rosary… ‘The Famous Blue Newsletter’! 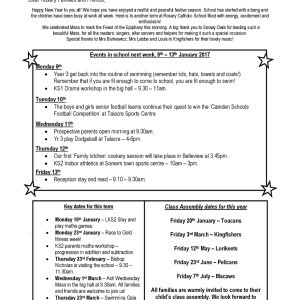 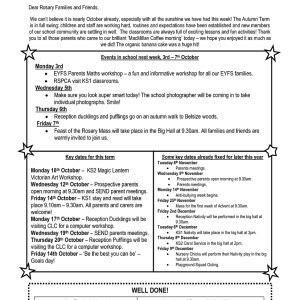 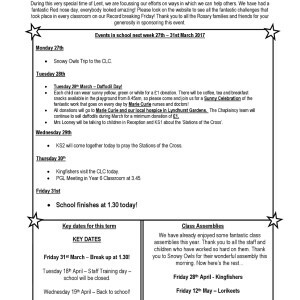 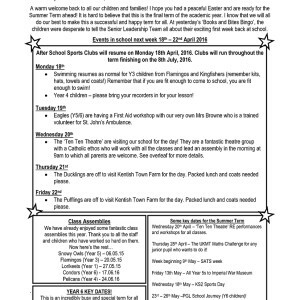 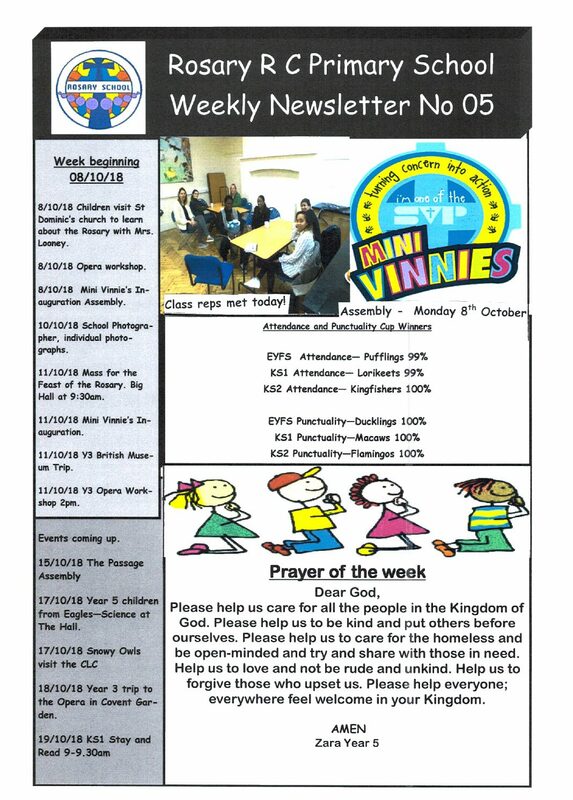 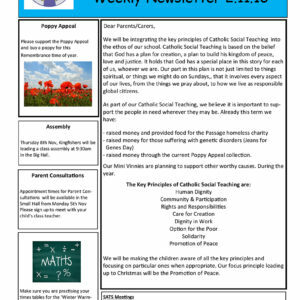 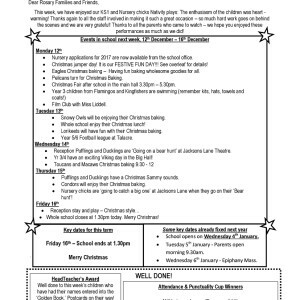 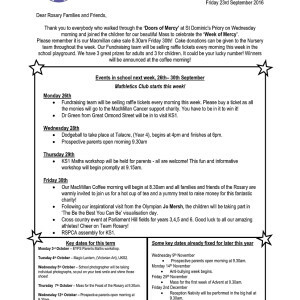 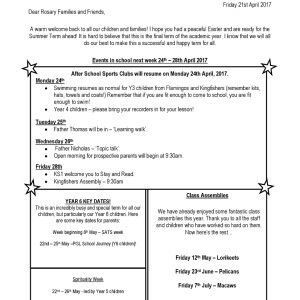 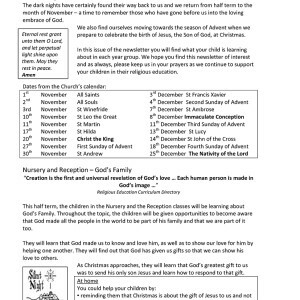 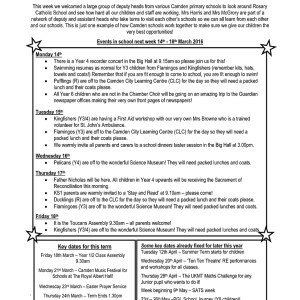 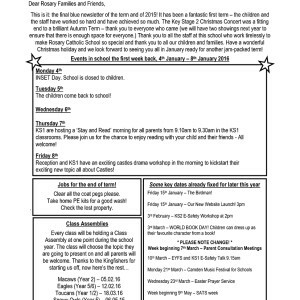 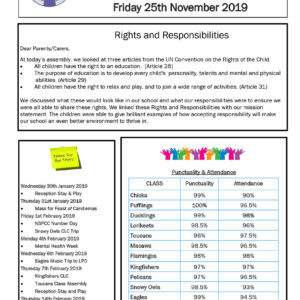 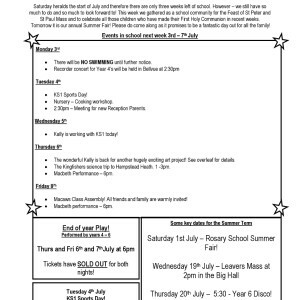 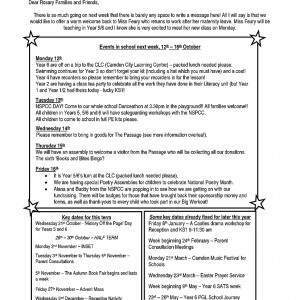 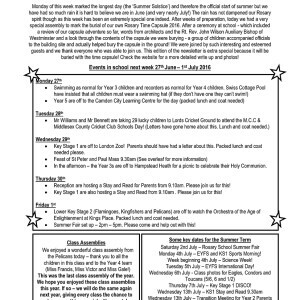 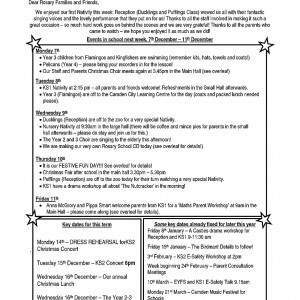 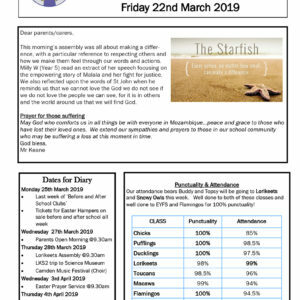 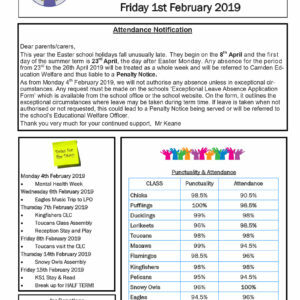 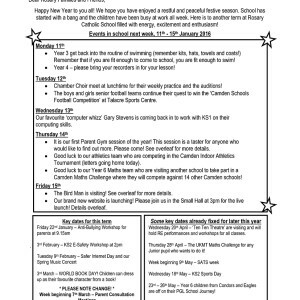 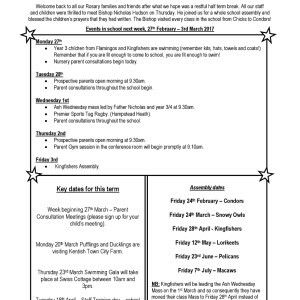 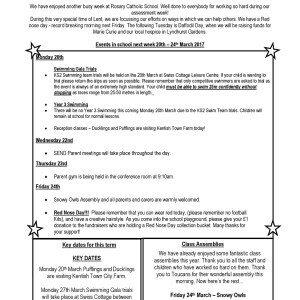 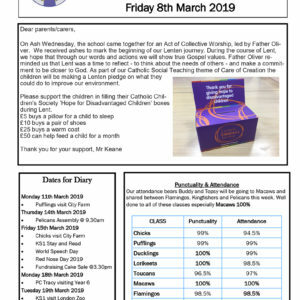 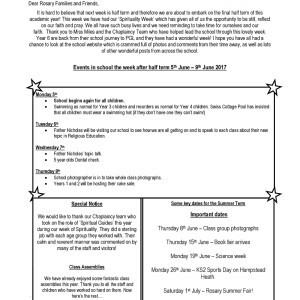 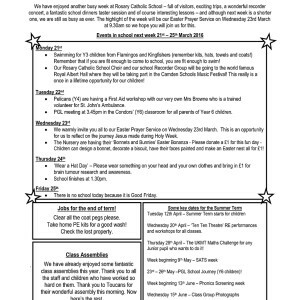 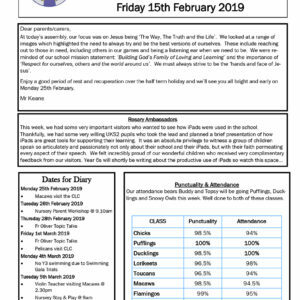 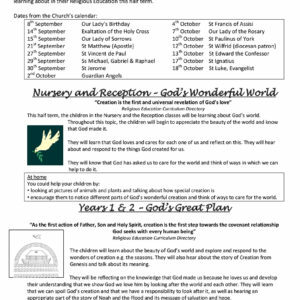 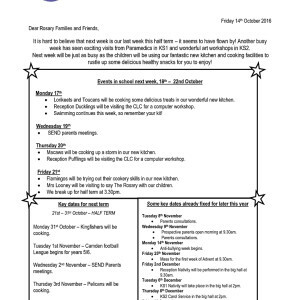 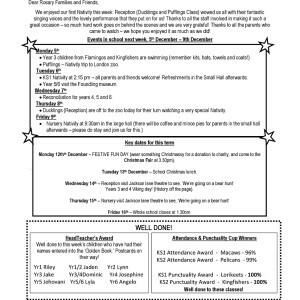 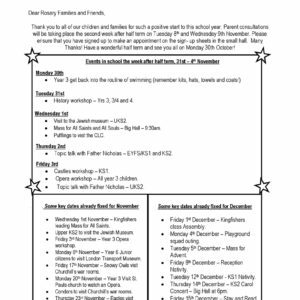 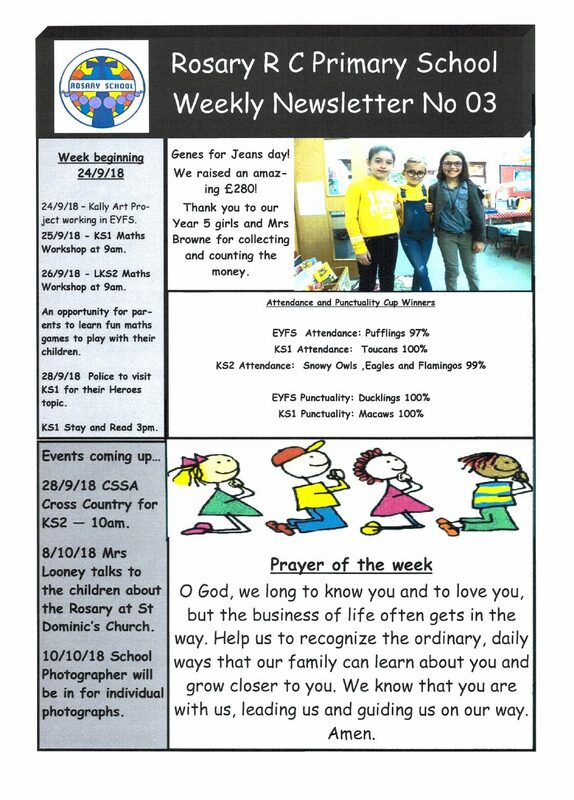 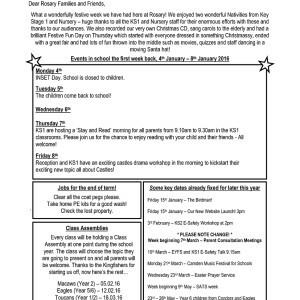 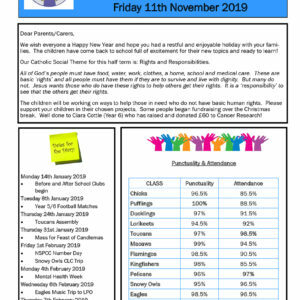 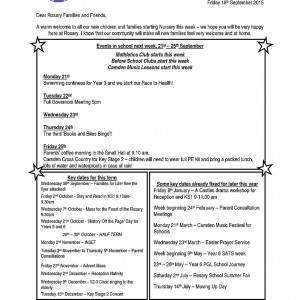 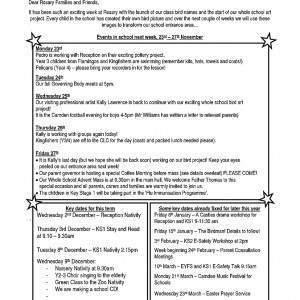 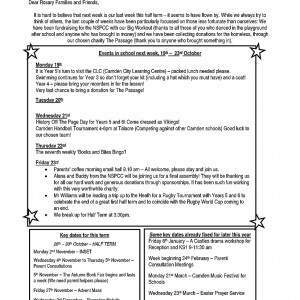 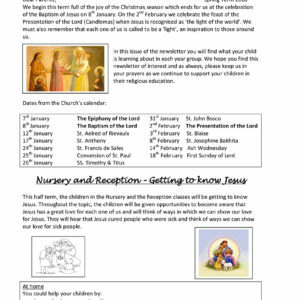 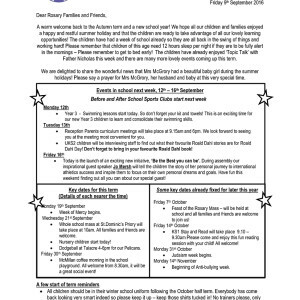 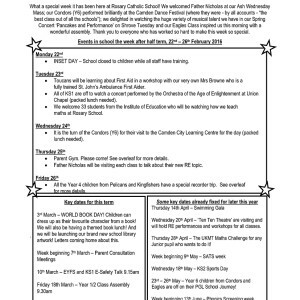 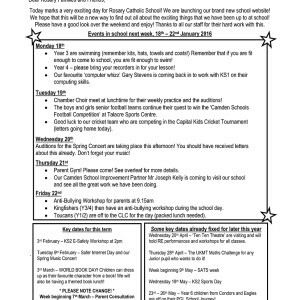 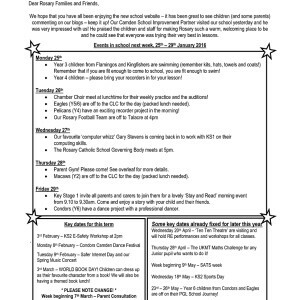 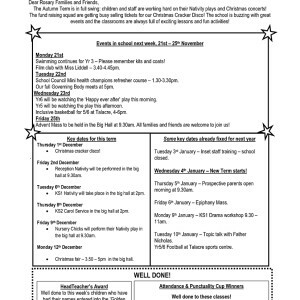 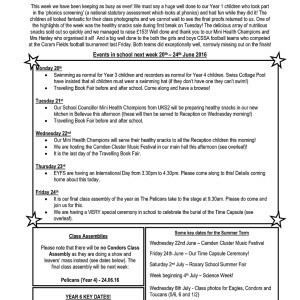 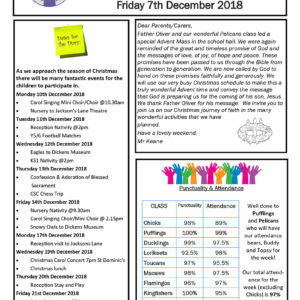 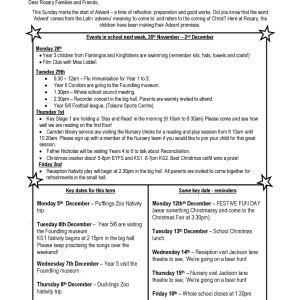 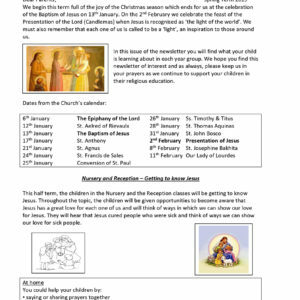 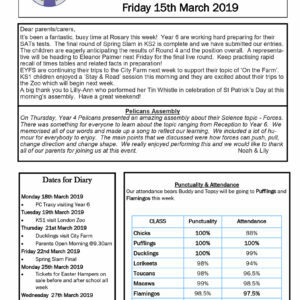 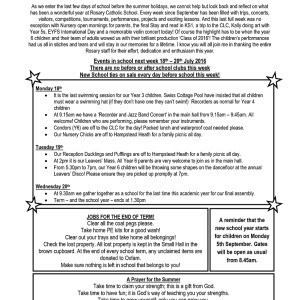 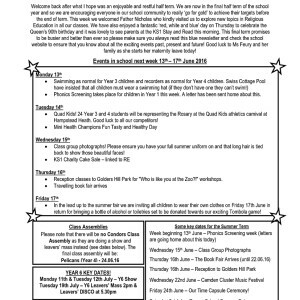 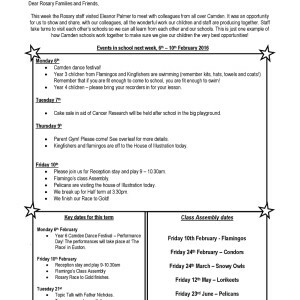 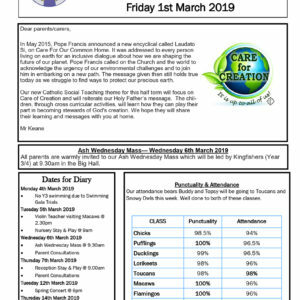 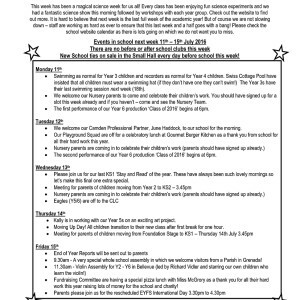 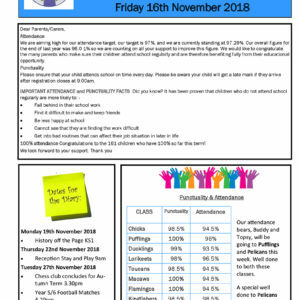 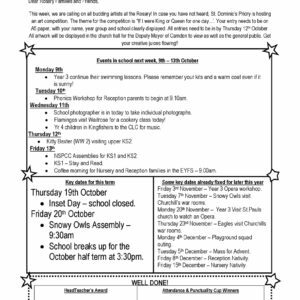 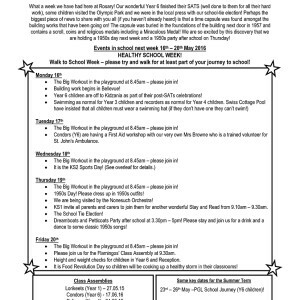 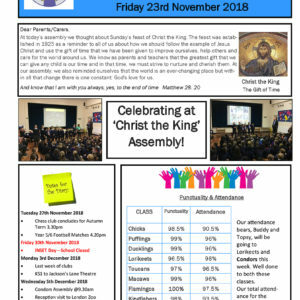 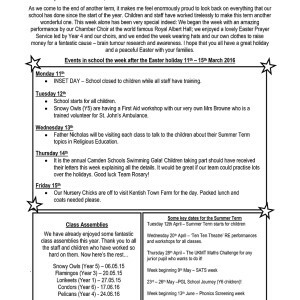 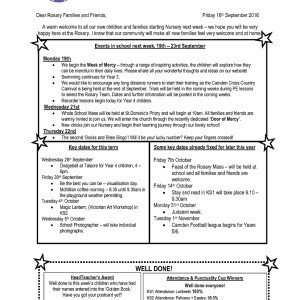 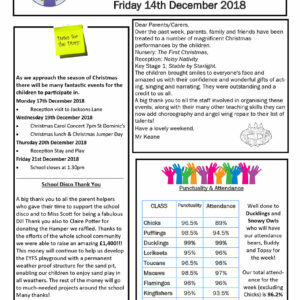 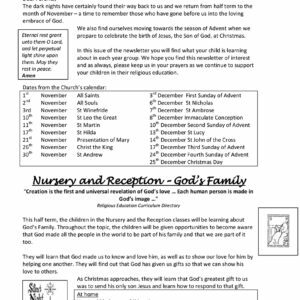 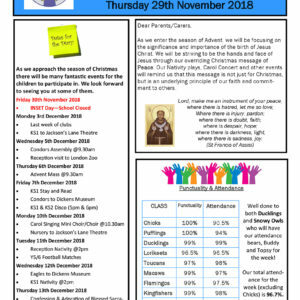 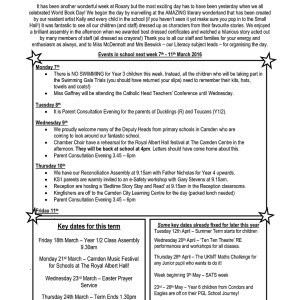 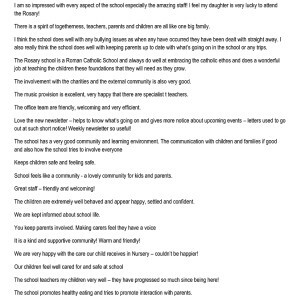 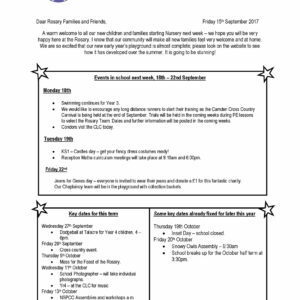 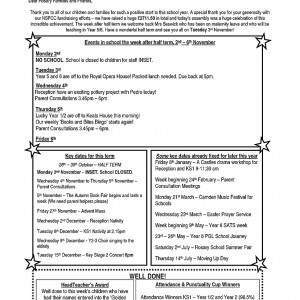 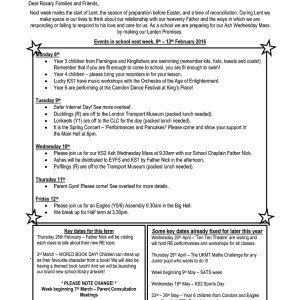 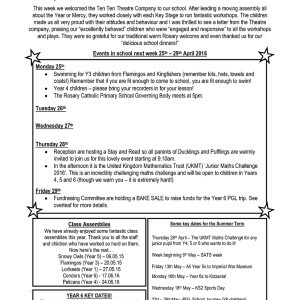 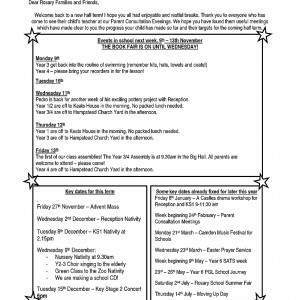 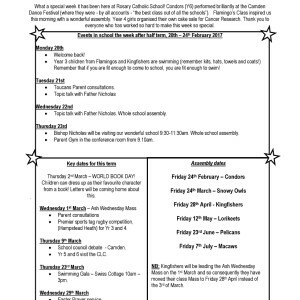 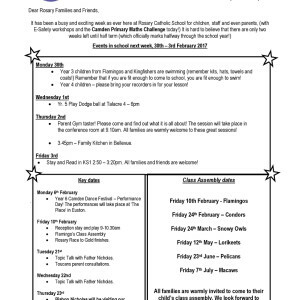 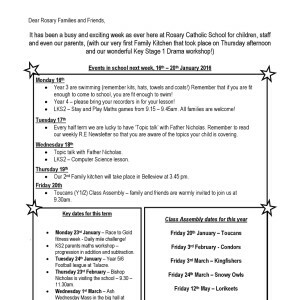 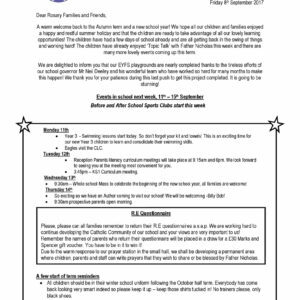 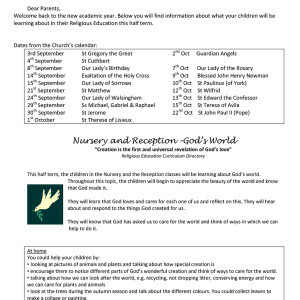 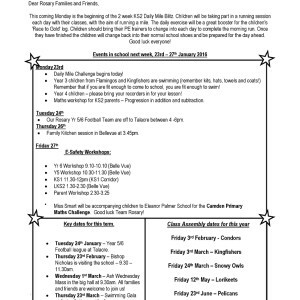 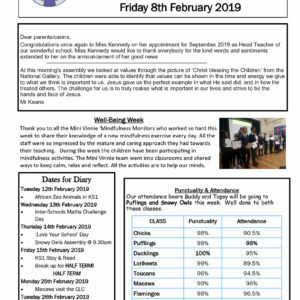 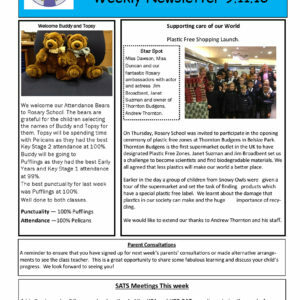 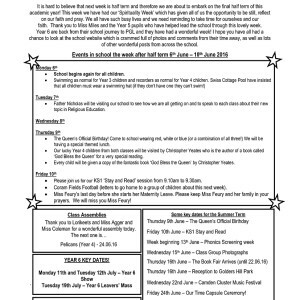 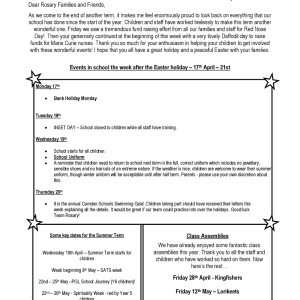 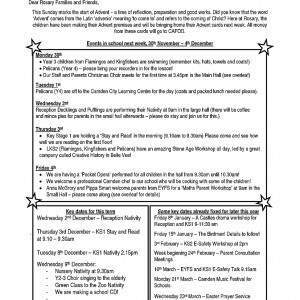 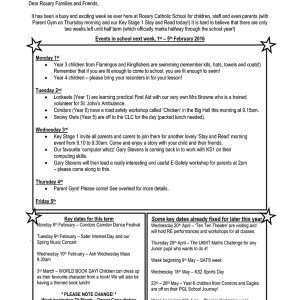 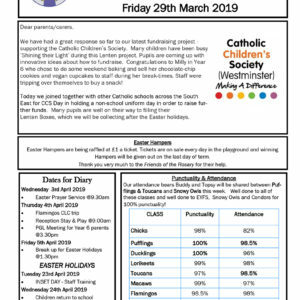 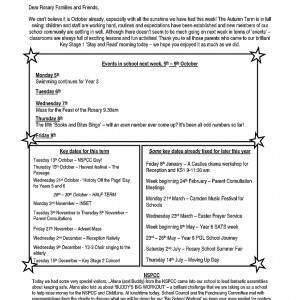 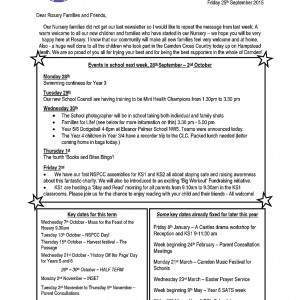 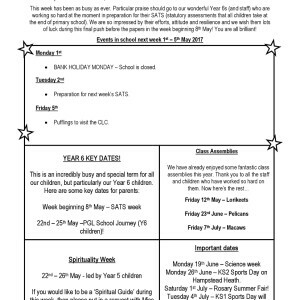 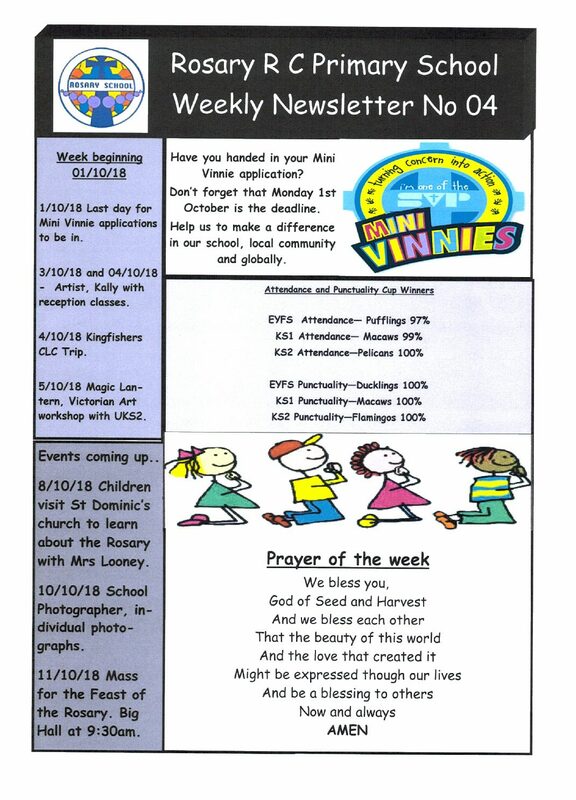 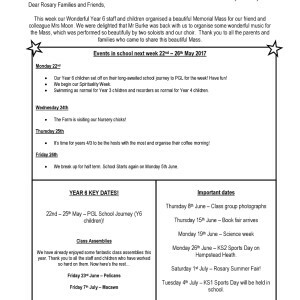 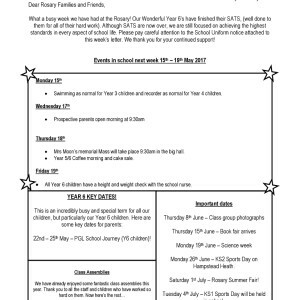 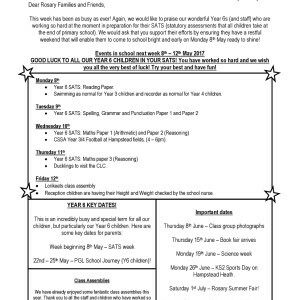 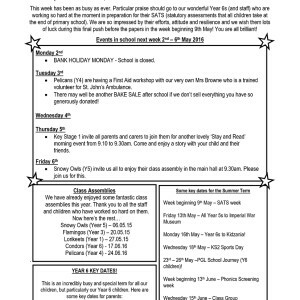 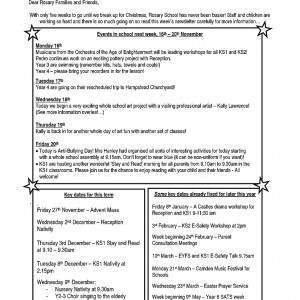 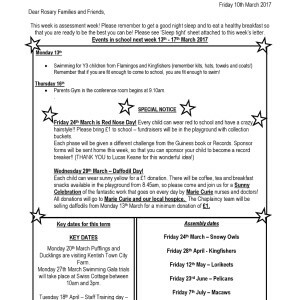 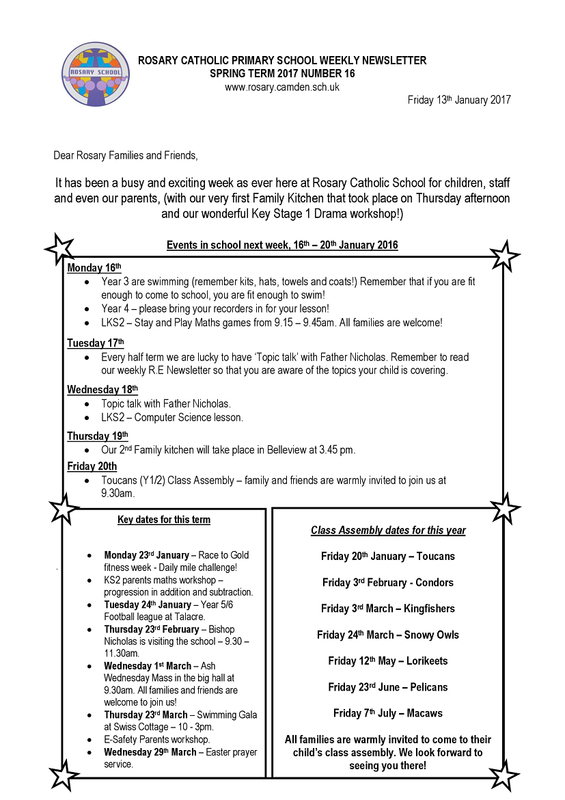 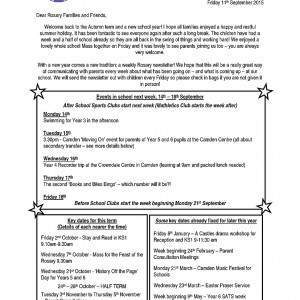 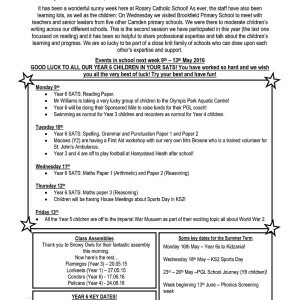 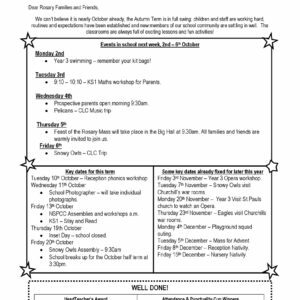 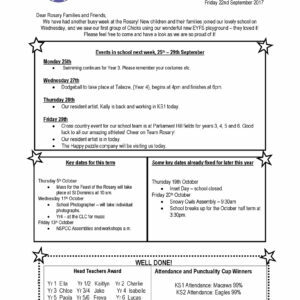 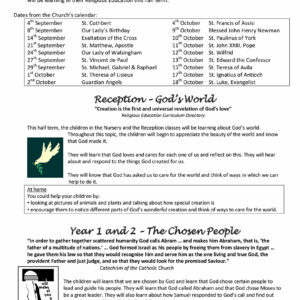 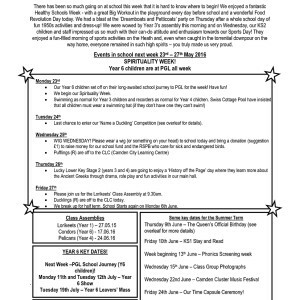 Every Friday we send home a newsletter which tells our families all the wonderful things that we have coming up the following week. 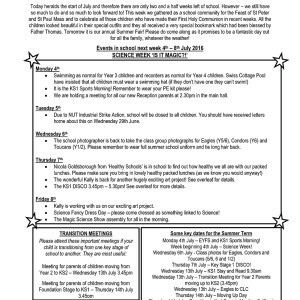 It includes reminders about events, messages about our achievements, attendance and punctuality, notes from staff, sports results and the names of the children who have been in the Golden Book that week, as well as much more! 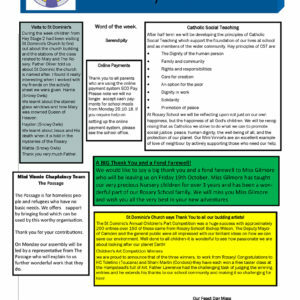 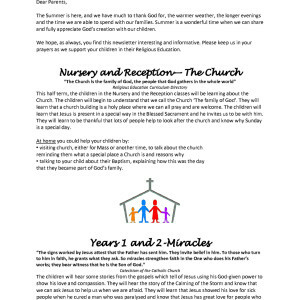 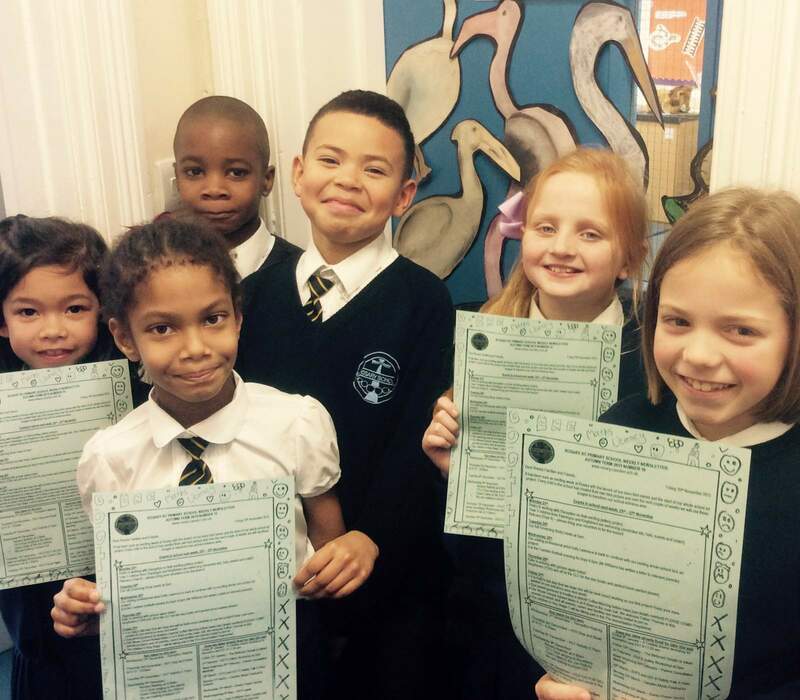 The blue newsletter is given to every child and sent to friends of the school like our governors. 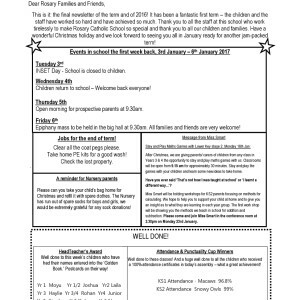 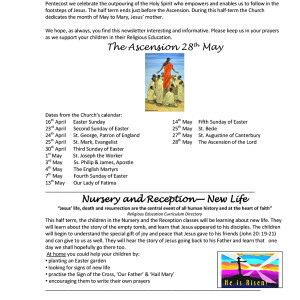 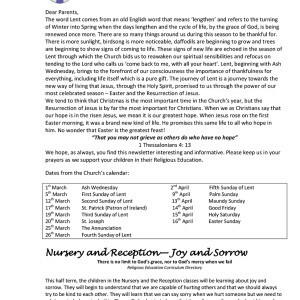 We put a copy in the noticeboard and upload it every week to the website. 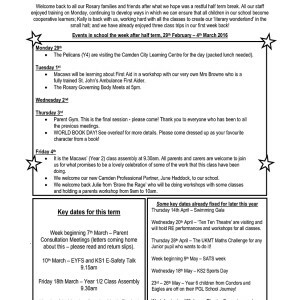 We hope you enjoy finding out about all the exciting things that happen at our school!